This has to be one of my all time favourites - if I can't think of something to cook for tea, this is what I have. The tuna sauce is one I use instead of bolognaise as I'm not a fan of minced meat - it's also good to use in a seafood lasagne. 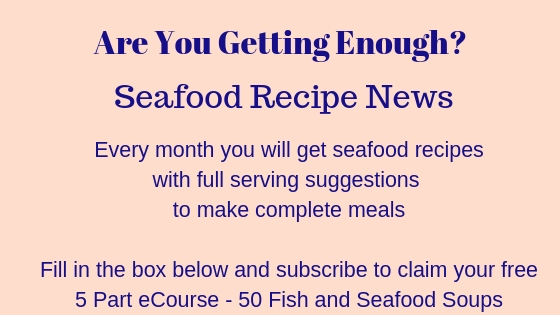 Just use this tuna sauce to layer the lasagne sheets where you would have put the bolognaise sauce - you then get a seafood lasagne - there you go, two recipes for the price of one! 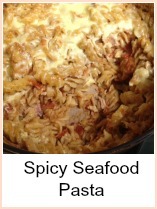 This will serve two people with healthy appetites - easily doubled for more. Drain the oil from the tuna into a large saucepan. Add the olive oil and fry the onion and garlic gently until softened. Add the tomatoes and simmer for about 25 minutes until thickened. Cook the pasta in plenty of boiling water (a dash of oil will help prevent sticking) according to the instructions on the packet. 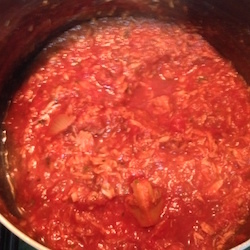 Add the tuna, anchovies, capers and basil to the tomato sauce and heat through - taste and adjust seasoning. 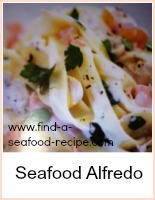 Serve the tuna sauce spooned over the hot pasta - sprinkle over parmesan to taste and enjoy this fish pasta recipe with some crusty bread to mop up the juices. 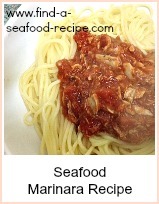 How to make tuna sauce for Italian fish recipe.